One of the things we have learnt from our years of experience: if you are going to a conference then you have to plan early to get the maximum benefits. In the past, we would attend just about every conference we were invited to. However starting this year, we have made a point to only attend conferences that will help our business grow. Too many conferences are full of the same old BS info. Affiliate Summit is NOT one of them. Our founder Syed Balkhi has been going to Affiliate Summit West for the past 2 years. So in January 2013, Syed will be there again. Like always, the conference is being held in Las Vegas, Nevada on January 13-15, 2013. Why do we attend Affiliate Summit West? People have asked us this question several times at other events, via email, and via twitter. The biggest reason we attend affiliate summit is because a hefty portion of our revenues come from affiliate income. Not only does this conference have some of the best speakers with amazing tips, but it also offer great networking opportunities. Our favorite part is the Meet Market, where you can associate a face to the company you have been working with. Representatives from all major affiliate networks and programs are there trying to meet with their publishers. The second best part is that you get to brainstorm with like minded folks. The conference is full of publishers just like yourself. You can build real relationships/partnerships that can go a long way. Last but certainly not the least, the conference is in Vegas. Who doesn’t like to have a good time. Why do we plan early? If you have been going to the conferences as long as us, then you probably know that most if not all conferences have early-bird discounts. For example, the same VIP pass that will cost $1749 on site or $1249 close to the conference is at $879. The networking pass that will cost $449 on-site is right now at $99. If you are planning on flying like we are, then it’s always best to start looking for cheap flights. Same goes for the hotel room. Also, if you are planning on getting your trip sponsored or raising funds for it via Indiegogo like we have seen some folks do, then it is best to plan in advance. This conference is for people who want to monetize their sites. While banner advertising does the job, you can build a much profitable business with affiliate income. We know that some people often get turned off by the cost of the conferences, but this is an investment that you make in your blogging business. Feel free to check out my presentation on How to Monetize your Blog. If you are planning on being at Affiliate Summit, then we highly recommend that you get your pass before October 26 to get the best rates. 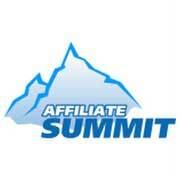 Register for Affiliate Summit Now. P.S. If you are going to be there, then shoot us an email using the contact form. Syed would love to meet all of WPBeginner readers.